I missed my stop to Tsim Sha Tsui one lunch time and randomly ended up in Jordan. There were many restaurants to choose from but for no particular reason, we ended up at Mak Man Kee Noodles. The place got super packed after sitting down for 10-15 mins. When our wonton noodles came, we had a feeling this place was a lot more popular than we had known! I always purposely go to one cafe in Macau (皇冠小館) that famously serves delicious shrimp roe noodles, so I was excited to see this on the menu at Mak Man Kee Noodles as I rarely do at my usual go-to wonton places in Hong Kong. Actually, these tasted pretty similar to the one I had in Macau. On the menu, these are called shrimp-only wontons, but I have a feeling a teeny bit of pork was in it, just to lump the whole thing together. The shrimp in the filling was pretty massive and had a welcomed crunch when bitten into. It was wrapped and cooked very well. Apart from the shrimp-intense dumplings, the soup broth and noodles were equally a highlight of the bowl of wonton noodles here. The noodles were perfectly al dente as they should be and the broth was tasty too. However, one bowl is definitely not enough for lunch. Their portions are pretty small compared to usual, only slightly bigger than the famously tiny ones served at Mak’s Noodles on 77 Wellington street, Central. I’m not overly fussy about wonton noodles, so I wouldn’t necessarily say this place is worth a trek for (though Jordan is pretty CBD and doesn’t require a trek for most Hong Kong-ers). 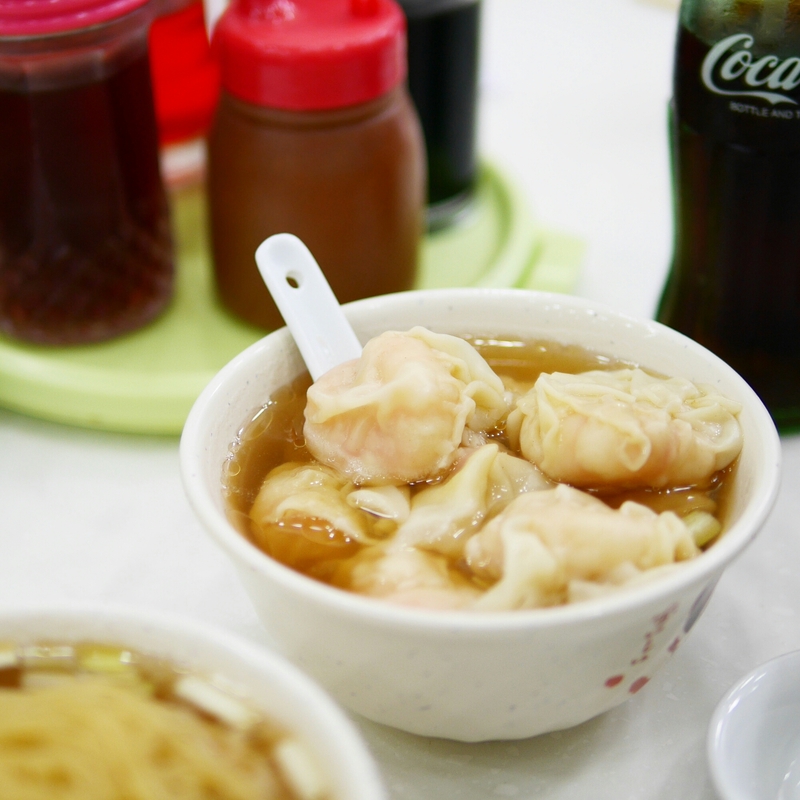 But this is definitely among my favourite three wonton noodle shops in Hong Kong. It’s a given that you have to try their wontons, but I’d also highly recommend ordering the shrimp roe noodles which were very tasty too. My other two favourites in Hong Kong are be Mak’s Noodles and Tsim Chai Kee, both on Wellington street (Central) located opposite each other. 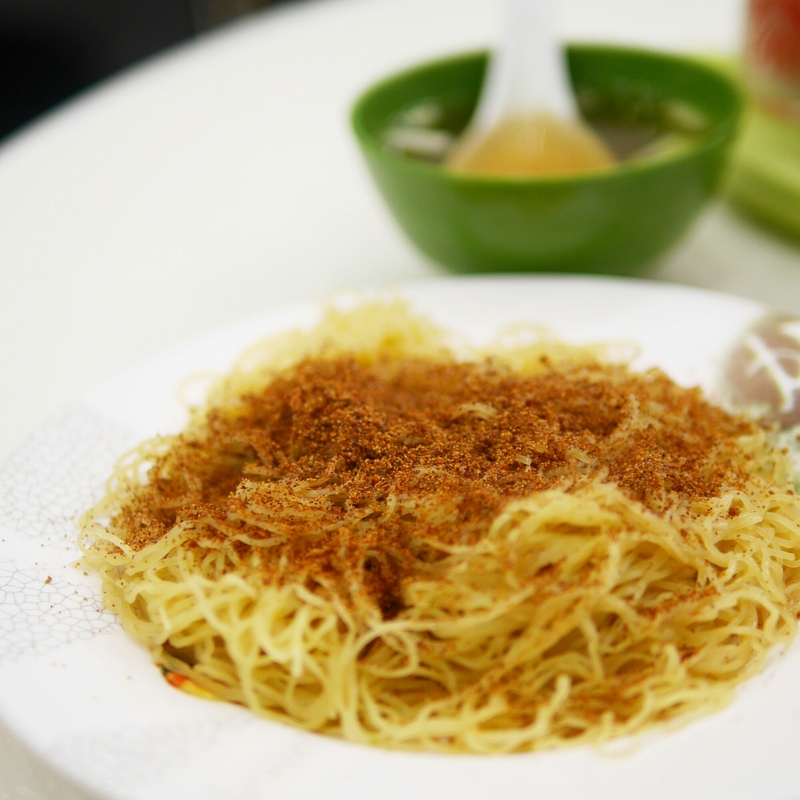 Mak Man Kee Noodles is located on 57 Parkes Street, Jordan. It’s a close walk from the MTR station.